What Are the Rarest Peace Dollars? Silver Peace Dollars were designed in the United States at the end of World War I to signify peace. The design, with the word “Peace” inscribed below the eagle on the reverse of the coin, was struck from 1921 through 1935 and again for a brief time in 1965. These Peace Dollars were the last silver dollars minted for circulation by the United States Mint, as they are made of 90 percent silver and 10 percent copper. A complete set of Peace Dollars consists of 24 coins, some of which are rare and difficult to obtain in high-grade condition. Production of the Peace Dollar began in late 1921 and the coins were released in circulation in January of 1922. The Peace Dollar was the second type of silver dollar minted in 1921. That year, more than 85 million 1921 Morgan silver dollars were struck, far more than any other Morgan Dollar. The 1921 Peace Dollars, however, were minted in much shorter supply, as only 1,006,473 were struck at the Philadelphia Mint, making it a key date for Peace Dollar collectors. In 2010, Professional Coin Grading Service (PCGS) valued an uncirculated 1921 Peace Dollar at $265. The Philadelphia Mint struck only 360,649 Peace Dollars in 1928, making it the rarest date in the Peace Dollar series. Contrarily, more than 1.6 million were minted at the San Francisco Mint, so the 1928-S Peace Dollar is a far more common coin. In 2010, PCGS valued an uncirculated 1928 Peace Dollar at $585. The rarest of all Peace Dollars is the 1964-D, as the Denver Mint struck around 300,000 Peace Dollars in 1965 with the 1964 date on the coins. However, skyrocketing silver prices prompted the government to order all of the 1964-D Peace Dollars to be melted, and no record of any surviving coins remains, according to The Mysterious 1964 Peace Dollar website. Any extant coins would be illegal to possess, as they are deemed stolen government property. Dates in which coins were minted in somewhat smaller quantities than most other coins of the same varieties are known as semi-key dates, as they are not the rarest of the dates but are also not common. 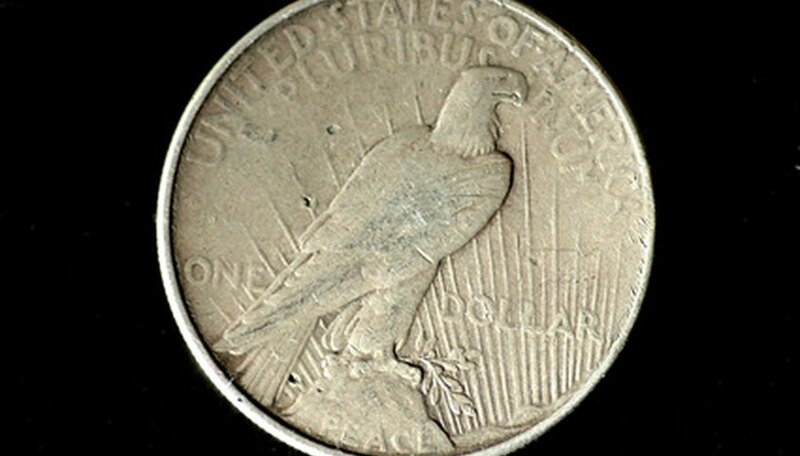 The semi-key dates in the Peace Dollar series are 1924-S, 1925-S, 1927, 1927-D, 1927-S, 1928-S, 1934, 1934-D, 1934-S, 1935 and 1935-S. In circulated condition, these coins are more valuable than the common-date Peace Dollars. The values of many semi-key date Peace Dollars range from 10 to 50 percent higher than that of common Peace Dollars. How Much Are Wheat Pennies Worth? How Much Are Canadian Silver Dollars Worth?